I have been waiting nearly a year to post this recipe. Why so long? It’s because I foraged a seasonal item and then spent a month macerating it such that when it was ready, no one anywhere was going to find it. So let’s rewind to early July of last year when I went foraging with my gal pals. I can get single-minded at times which can be a good and a bad thing. In this instance, my eyes were on black currants, because I had it in my head that I would make crème de cassis. So, you may or may not encounter this with your currants, but there were some tiny white worms that had taken up residence in the black currants. Wendy had always told me that if I wanted to forage, I’d have to get used to worms and pests. “It’s just protein,” she’d smile. I tried removing as many as possible, but after a while you just take a deep breath and stop worrying about it. The liquid was going to be strained anyway… twice! Plus, don’t they have a giant worm in tequila? I eventually learned to get over my issues with worms during porcini mushroom season. Okay then! Once the berries are good and chopped (you may want to do that part in batches), place them in a large glass jar with the vodka. I’m not a vodka connoisseur and I’m not really interested in dropping a lot of money for experimental infusions, so I used my “cheapest vodka on the shelf”. Seal the jar and give it a big ole swish, then hide it away in a cool, dark place for a month. Be sure to mark your calendar so you don’t forget about it. I know how summer can get all busy and distracted like that. The next step is the part that will make certain people mad, because it involves 1) math and 2) weighing the liquid. [Aside: I’ve had some commenters tell me that “in America, we use cups”. If you know me AT ALL, you know that I’m biting my tongue to keep from typing what I really think.] A kitchen scale is probably one of the more useful tools I’ve ever purchased for cooking and especially for baking. It comes in quite handy for this recipe, although you can get around it if you’re really into measuring volumes and converting to weights using densities. Your call. Determine the weight of the strained liquid. 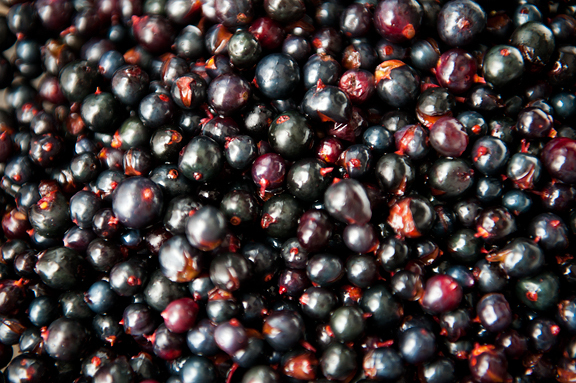 To make black currant liqueur, calculate 20% of the weight of the strained liquid. That is the weight of sugar that you should add to the liquid. 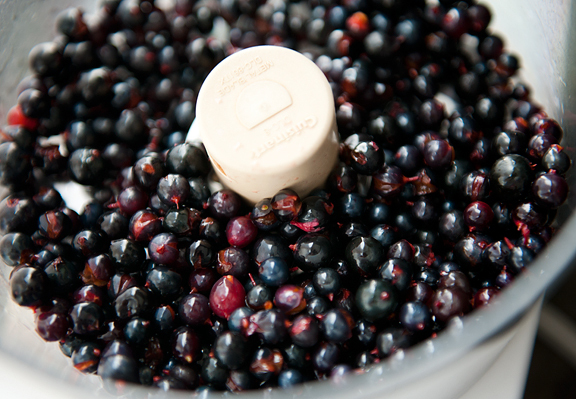 To make crème de cassis, calculate 45% of the weight of the strained liquid and add that amount of sugar. I split my batch of black currant infusion in two and made both. I definitely prefer the crème de cassis to the black currant liqueur. 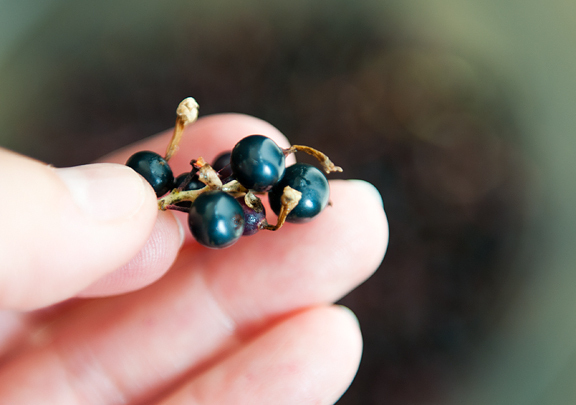 Wendy doesn’t like black currants in general and says they remind her of Flintstones chewable vitamins. The black currant liqueur tastes like a fine cough syrup, but I hate cough syrup. 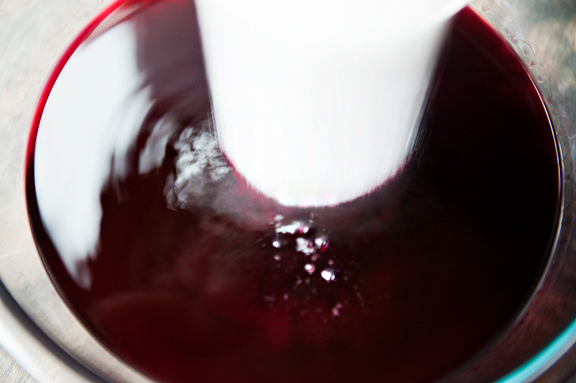 It’s easy enough to add more sugar and make it into a crème de cassis. Make a glass of kir with a white burgundy (chablis) and crème de cassis (5:1 or 10:1 ratio) or swap out the wine for some sparkling wine or champagne for a kir royale. I love it when foraged foods get all fancy like that. 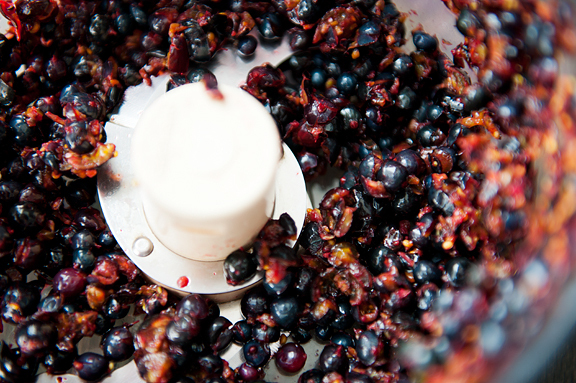 Crush the black currants in small batches in a food processor. 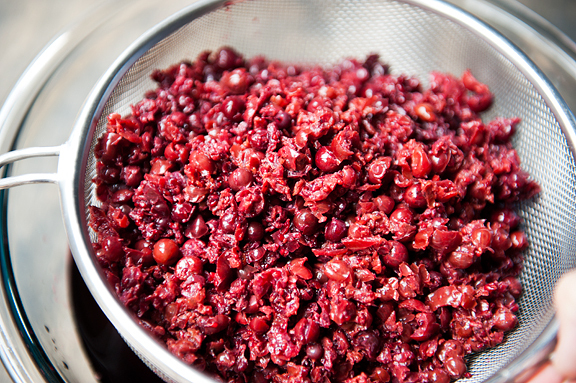 You don’t want a purée, you just want to maim the currants and break the skins. 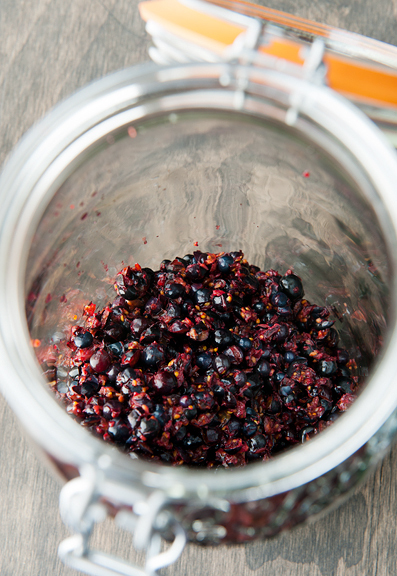 Place the currants in a large (2+ quart capacity) glass jar with the vodka. Seal the jar tightly. Shake it up and let sit in a cool, dark place for a month. 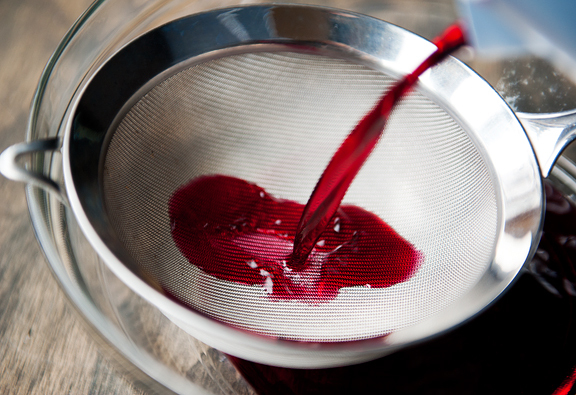 When the infusion is ready, strain the liquid through a fine mesh sieve twice. Weigh the liquid. 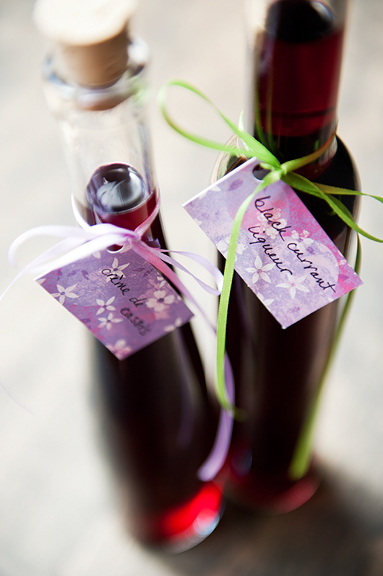 To make black currant liqueur: Multiply the weight of your liquid by 20% to get the weight of sugar you need to add to the liquid. [In math speak… weight of liquid = L, weight of sugar = 0.2 x L]. Stir the sugar into the infusion until it is dissolved. Makes about 2 quarts (probably less). 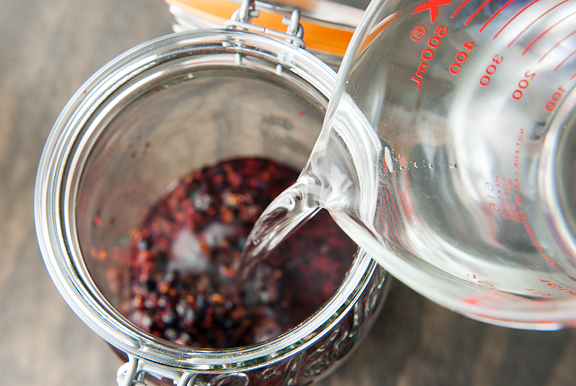 To make crème de cassis: Multiply the weight of your liquid by 45% to get the weight of sugar you need to add to the liquid. [Weight of liquid = L, weight of sugar = 0.45 x L]. Stir the sugar into the infusion until it is dissolved. Makes just over 2 quarts. Awesome! I love new ways to used foraged foods. Not sure why I never thought of gathering currants. I’ll definitely make the cassis. It’s a key ingredient in my favorite Brazilian dessert, papaya cream (beat papaya with sweetened cream or ice cream and top with lots of cassis). Served at every Brazilian steakhouse as the perfect antidote to all that meat you just ate! Oh how gorgeous! 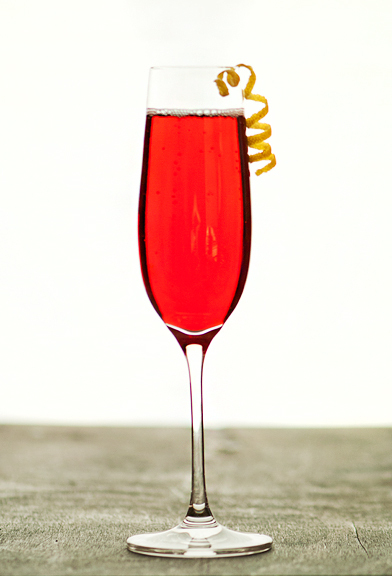 You should also try a kir normand which is made with hard cider. I had one in France last year (Normandy is apple country apparently) and have been making them at home with bottled hard cider that you find near the beer at the store. Worms…my daughter just made the year’s first batch of iced green tea with mint & lime, and apparently we should’ve soaked the mint instead of rinsing it. We strained them out & still drank the tea! This is such a neat idea!! I love how you made a liqueur!! This is a great recipe! I can’t wait to try it. Very cool post! Love the photos. I made Kir Normand as the special drink last time I hosted supper club. I bet it would work well with your homd made creme de cassis. Would this work the same with other fruit, like blueberries? I adore anything currant! Yum! How fun! I will definitely look for some this year and try your recipe! I forage a lot of crab apples in Salt Lake, a lot of people have them for the flowers and I love using the fruit. I’m super jealous of the currant foraging! Foraged fruit is one of my favorite things ever, stemming way back from a stand of black raspberries at Girl Scout camp. Of course, I didn’t get to make any liqueurs then! :) This looks delicious! And I must mention that I have and use a kitchen scale, even though I live in the US too. So useful for preservation! Usually I just make jelly with the currants I pick. Will have to try this, thanks for the idea. Haha, the math part is a bonus for me. I love weighing stuff! Today I think I broke my kitchen scale by spilling water on the read out! I’m devastated. Guess ill be ordering a new scale on Amazon in the ear future. I hate pesky kitchen mishaps! Your Cassis looks GORGEOUS! Yum! Kir royale is one of my favorites. Thanks so much for posting this! You can read minds- I was just looking for a Creme de Cassis recipe to make for my brothers wedding. Karen – that dessert sounds heavenly! Kristin – okay, I kinda love that idea even better with the hard cider. And yeah – worms… ugh. 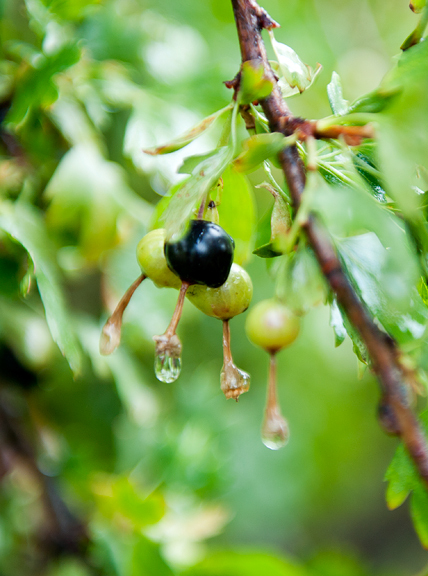 Melissa – I’m glad that so many people have currants available to them! Yay! Monika – that is something I don’t know. 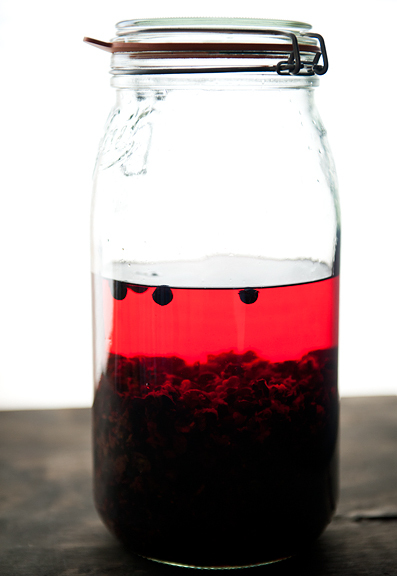 You could probably google recipes for blueberry and raspberry infusions and see what they say. Strawberry is similar, so who knows – it might just work. Eileen – absolutely agree with you. Why wouldn’t someone want a kitchen scale when it’s sooooo handy? Ed G – thanks for the rec! farmerpam – mmm, jelly sounds great. I’m guessing you don’t have a big worm problem? Jane M – thank you! eemilla – it’s nice, isn’t it? At first I didn’t think I’d go for it, but I do like it! foodnerd4life – wow, lucky brother!! I like the look of this recipe. I have been making raspberry and similar liquids by simple infusion and filtering, but am fond of cassis, and several other recipes I found involve boiling the liquid down. This I find baffling, as surely that will at least reduce if not remove the alcohol! May as well make a cordial and save money if that’s so. I also have jostaberries, and will try a comparison. Just had it suggested I make this. Getting the currants off the stalks….. A fork will do most of this. Pick the currants in bunches and then run the fork through. You are left with the stalks in your hand and the currants in the bowl – minus stalks. Hi, I tried to make blackcurrant liqueur last year and it is now that I remember that I have two jars hidden away in the cupboard under the stairs. Would it still be Ok to make a liqueur, or did I blew it? Help!!!! Shirley – hrm, I’m not sure. I think the booze stops anything from spoiling, but… check it out and see if it looks obviously bad? I really don’t know. Sorry!! You dont need getting the currants off the stalks,in fact you should not remove the leaves from the stalk. The aroma is much better! Did it like this -wonderful! OK, so this recipe finally inspired me to do something with a season’s worth of currants that were too wormy to make jam with, and that had been forgotten in the deep freeze for a long time (am ashamed to say for how long). I doubled the fruit. Then I also forgot about the vodka-fruit infusion and left it steeping for 6 months. Today I made the first jar into liqueur (20%). Delicious! And this year’s black currants are almost ripe. 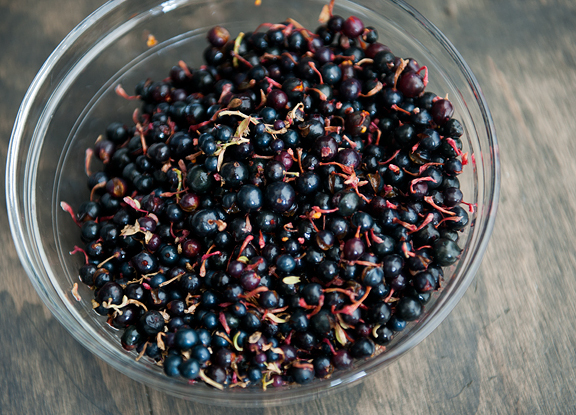 We never can figure out what to do with the white currants, so maybe another flavour of liqueur is in the offing. Beautiful photos Jennifer. And thanks for the straightforward recipe. OK… this may be a dumb question, but here in the States I have never seen a fresh currant. Even dried currants are a rarity. Could I make creme de cassis using dark red grapes instead or will the flavor be off? Last year I tried to find Creme de Cassis in the liquor store and had no luck. It’s like there is a ban on all things currant here in the US. Janna – Hmmm. You probably mean you don’t have currants where you are in the US, because I’m in Colorado and they are everywhere. Most of the currants I have seen are wild in the mountains, or cultivated in people’s yards (bushes) or green spaces near Boulder and Denver. The Boulder Whole Foods carries dried currants in the bulk section. I doubt grapes will work as a substitute as the two fruits are pretty different (currants are berries). You can order crème de cassis online from Amazon. Hey Jen – I just finished decanting and mixing the sugar into my batch, using the black currants I harvested from our bushes this year. Of course I sampled (never mind it’s only 10am here) and it is GREAT! Love it. I made a batch last year with a different ratio of sugar that was probably closer to the one you mention above for the liqueur, but I also much prefer the 45% of the creme de cassis. I am dreaming of drizzling this over vanilla ice cream! xoxo! Actually, depending upon where you live, Jana, it might not be legal to have or grow black currants. 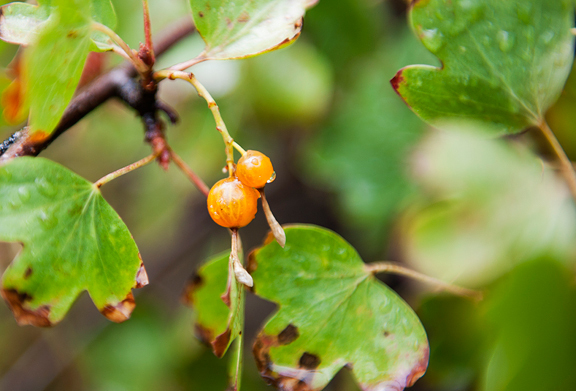 The entire Ribes family is restricted in some states due to an association with white pine blister rust. They can be carriers. Most states lifted the ban decades ago, but not all. New England states, I believe, have a ban. In some states, you may grow red, pink, and white currants, which are more closely related to each other than black currants, but not the black.Also, depending upon the state in which you live, it could be illegal to buy dried currants, I believe. I could be wrong on that one, though. As far as buying commercial cassis, it’s typically not very good unless you buy it directly from na European source. There simply hasn’t been enough demand for many commercial producers to get in the game. I would advise not buying an American brand, personally. 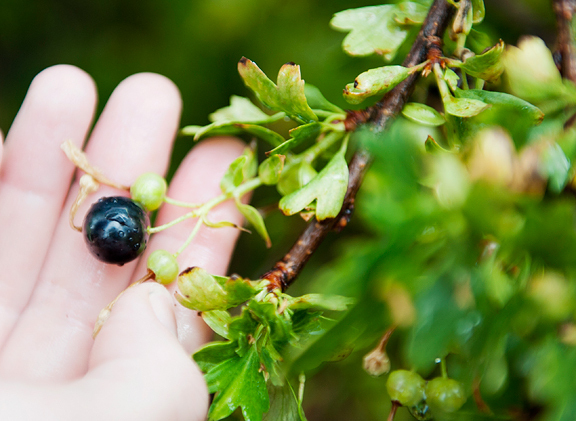 If you’re wondering why I popped in with a know-it-all answer, it’s because I grow and supply several types of currants and gooseberries locally. :-) I love them. Especially gooseberries! Also- fyi, the worms were probably sawfly larvae. I might be careful about transporting them around if you are running from multiple currant harvesting locations. They will defoliate and decimate a currant budh and are one of the only real issues with growing currants other than powdery mildew. They are EXTREMELY difficult to get rid of without a great deal of maintenance, so would likely kill a wild bush. Hi Jen! I just ran across your recipe and was wondering if clove currants would work? I planted ‘Crandall’ black currants here in Michigan because the deer will not bother them. Three years later and they have produced a few pounds of beautiful berries and I plan to make currant jelly as well. the fragrance of the blossoms in spring is heavenly! 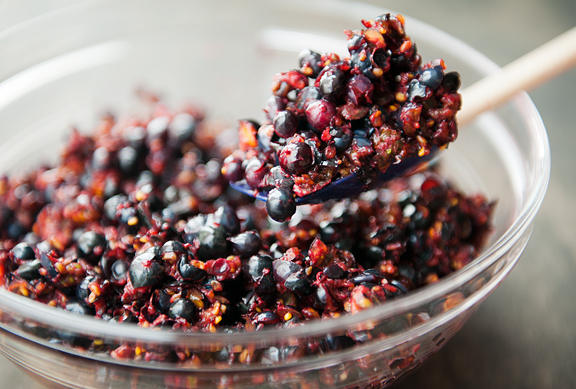 Barbara – I’ve never used clove currants before, but my guess would be that almost any currant could work. Sounds like it would be worth trying! Greetings from across the pond! First let me say, ” I know the feeling”. I get mighty pissed when I get asked to convert a recipe into cups. I politely say “I’m sorry, I wrote the recipe, you may convert it”. LOL..we Americans don’t all use cups. I weigh and most everyone I know does also. Now getting back to business. Thank you so much for sharing your recipe. I actually found it through another blogger who said to come here to get the sugar percentage. I use to eat these all the time camping out for the weekend. Never crossed my mind to bring them home. We have a gazillion so the birds don’t have a chance! Can’t wait to try your beautiful recipe! !